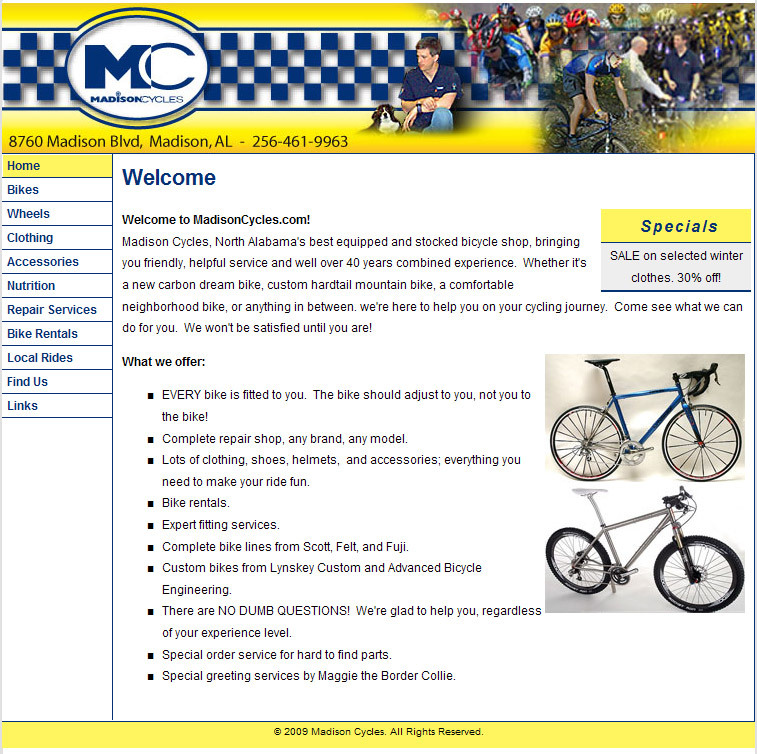 The following samples are just a few of the web sites we have successfully completed. 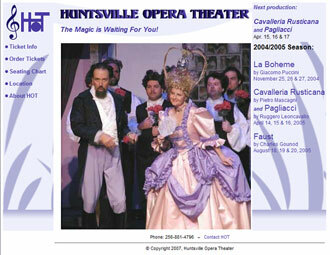 Created for a Huntsville based software company. 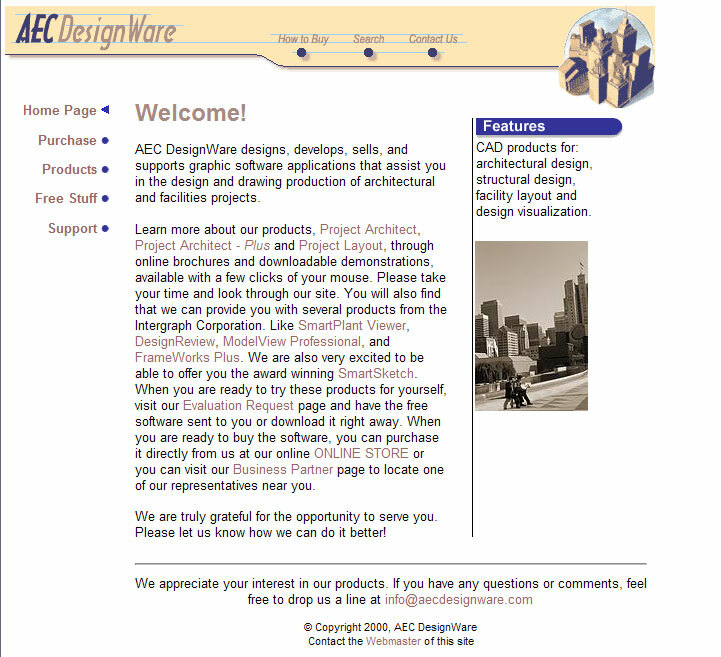 Designed to provide product information and support, in addition to easy client maintenance. Used ASP to streamline common page structure/elements. Turned over to client upon completion. Created for a Huntsville builder to show off not only their sub-divisions, but also their home plans. Goals were to compliment their existing branding, and allow for easy client maintenance. Turned over to client upon completion. 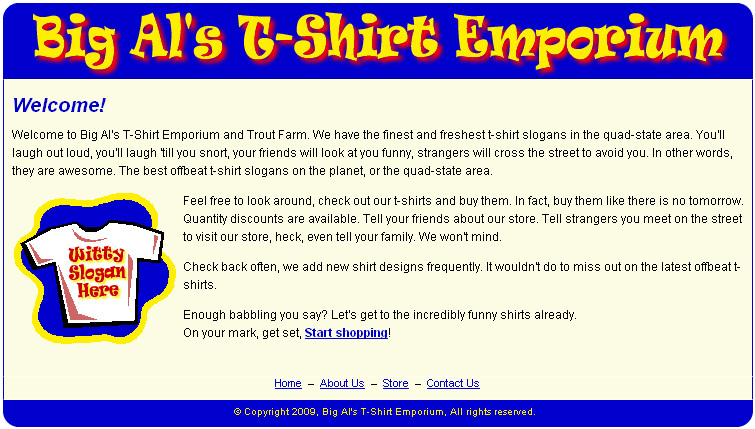 Created for a local entrepreneur of humorous t-shirts. 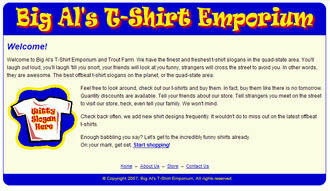 Goals were to set their branding, simple CSS based design and to interface to their online store pages. Providing ongoing maintenance and updates. 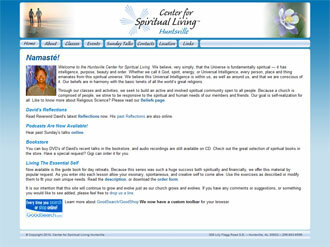 Created to provide news and information about church activies. Turned over to client. Created for a San Francisco technology company. 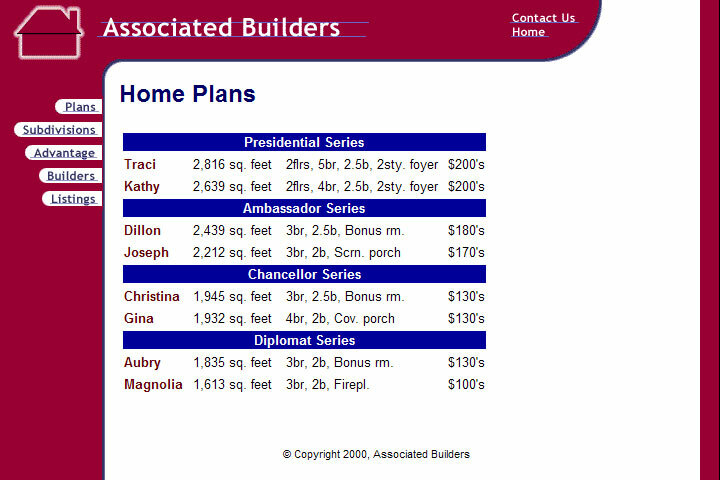 Goal of providing basic company information. Turned over to client upon completion. Highlighted season schedule, opera overview, seating and ticket ordering information. Designed to fit with clients existing branding. 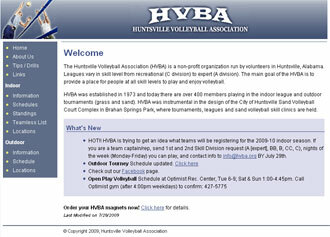 Site for publicizing all association related activities, schedules and events. 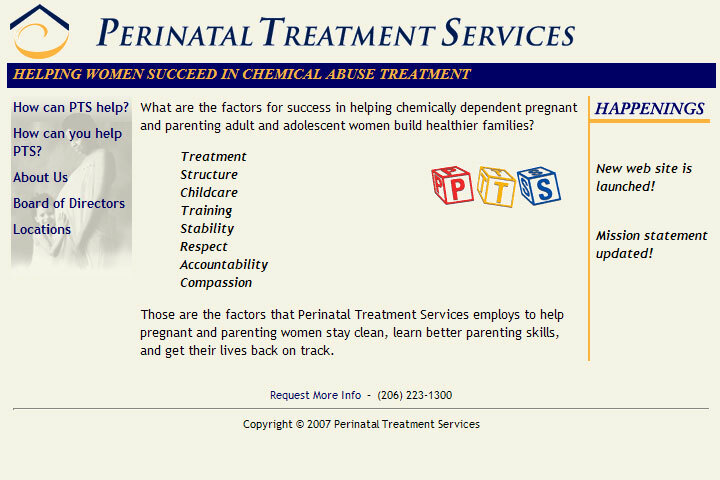 Providing ongoing updates, client maintains. Click on the images above to see an enlarged view. 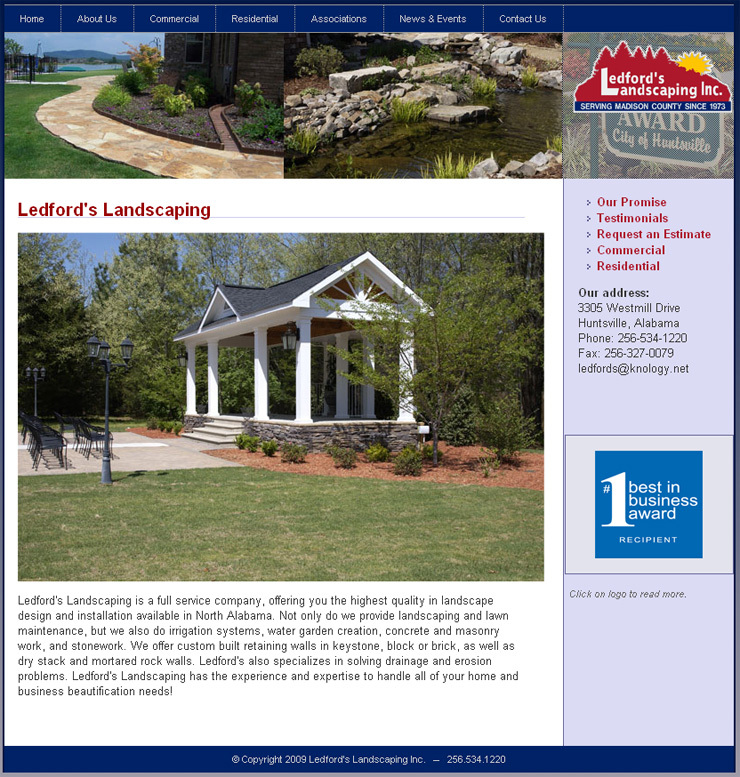 Created for one of the leading landscape companies in Huntsville, Alabama. Main goals of providing descriptions and photographs of the services they provide, as well as easy customer contact options. 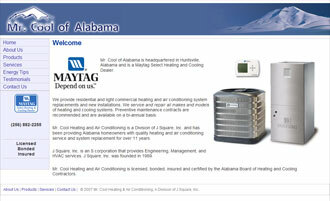 Providing ongoing updates and maintenance. 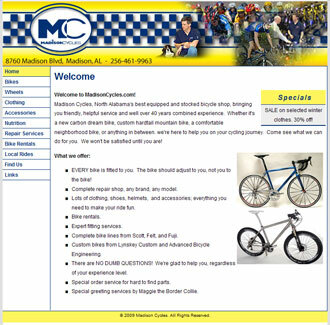 Created for a bicycle shop in Madison, Alabama. 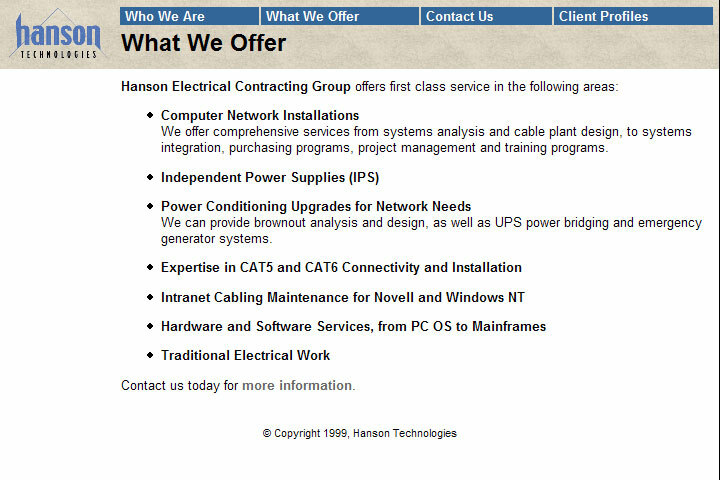 Main goals are to provide information on the range of products and services they provide, as well as easy customer contact options. Providing ongoing updates and maintenance. 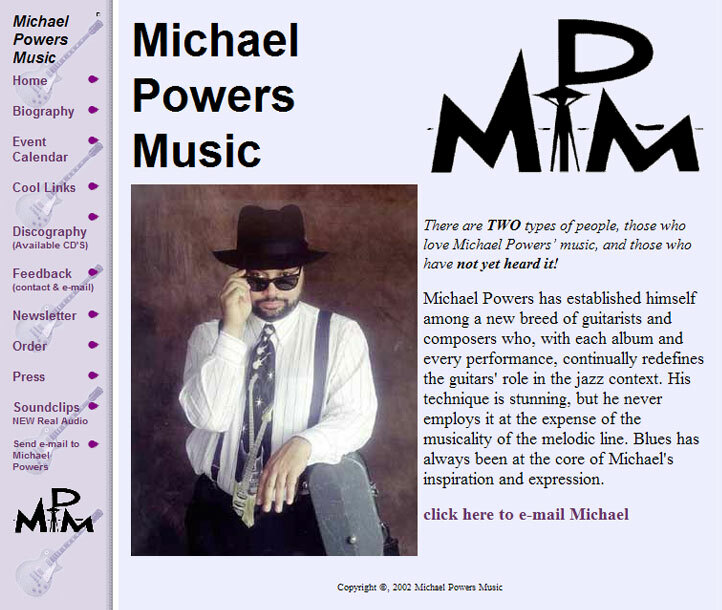 Created for musician in Seattle, Washington. Main goals of providing appearance schedule, discography and selling CD's. Turned over to client upon completion. 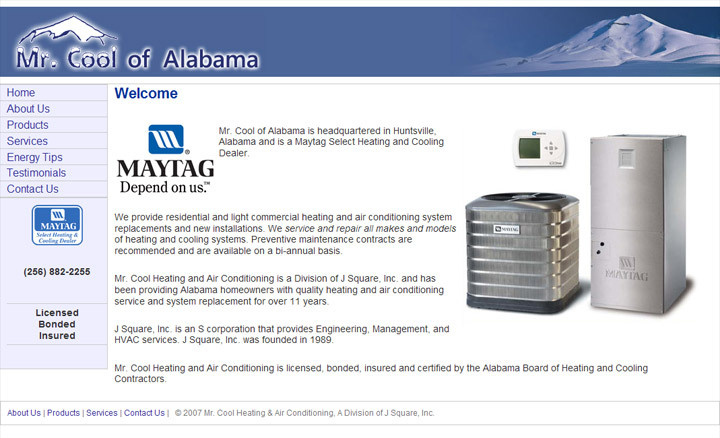 Created for a Heating & Air Conditioning company in Huntsville, Alabama. Main goals of providing summary of services and contact information. Turned over to client upon completion. Created for Seattle based social services organization. 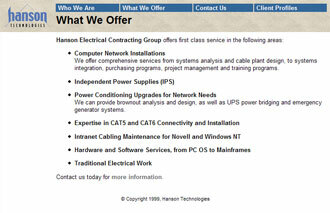 Goals of providing basic services information and ease of client maintenance. Turned over to client upon completion. 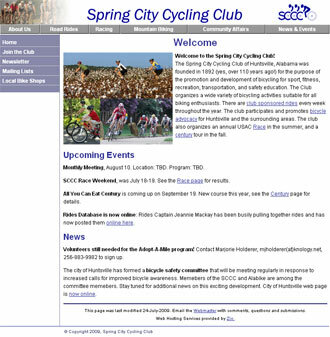 Created for a Huntsville based bicycling club. 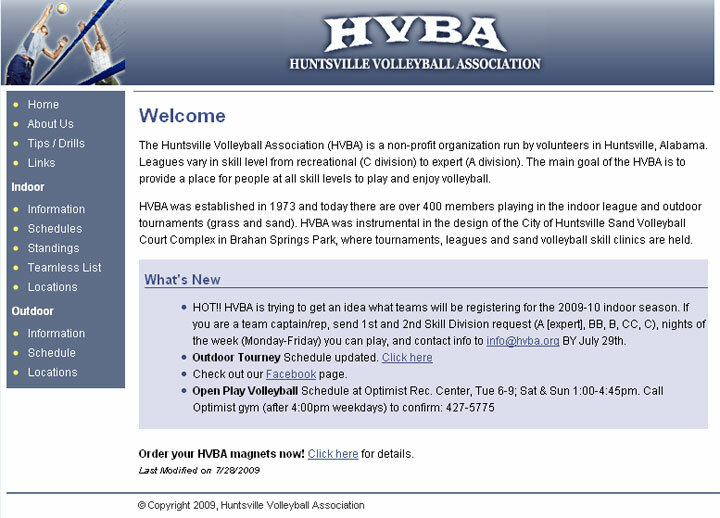 Goal of publicizing club related activities, schedules and events to members and potential members. Providing on-going site maintenance. 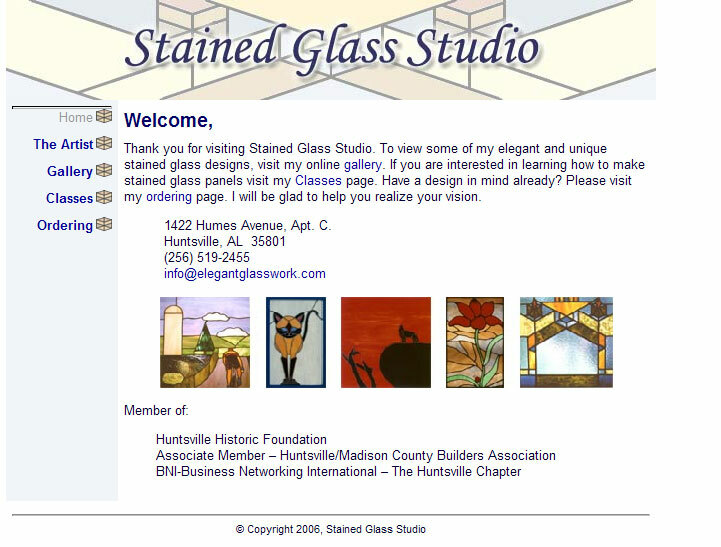 Created for a Huntsville based stained glass artist. 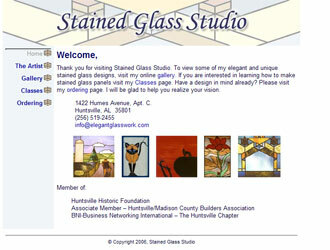 Goal of showing potential customers sample galleries of work, class information and contact details. Ease of client maintenance was also a requirement. Turned over to client upon completion. © 2019 WebCentrics Consulting, All Rights Reserved.